SAN ANTONIO — The San Antonio Spurs had just finished a comeback in downtown Sacramento, spoiling the Kings’ inauguration of their new Golden 1 Center with a 102-94 win on October 27. In a visitors locker room roughly four times the size of the cramped cave that had housed visiting teams at ARCO Arena/Power Balance Pavilion/Sleep Train Arena for 30 years, players lingered over plates of postgame pasta before filing out, one by one, to board the team bus. Finally, after all but two of his teammates had dressed and left, Kawhi Leonard emerged from the training room, where he had iced both knees before a long shower. A handful of reporters met him, urged by a team official to expedite their interrogation so the bus could get on its way to Sacramento International Airport. Point guard Patty Mills looked up from pulling on his socks to assure the media they could take their time. "Ask all the questions you want," Mills said, "because we’re not leaving without him." Indeed, the Spurs aren’t going anywhere without Leonard this season. The rise of the two-time Defensive Player of the Year from a non-lottery draft pick to a first-team All-NBA selection has been meteoric. From a rookie season of 7.9 points per game, his ascension as a scorer has been a steady progression to 11.9 PPG, 12.8, 16.5, 21.2 and, now, an explosion to 28.4 points per game through San Antonio’s 4-1 start to its first season in 20 years without Tim Duncan. Even more telling about Leonard’s performance has been his emergence as a true "go-to" guy in crunch time. 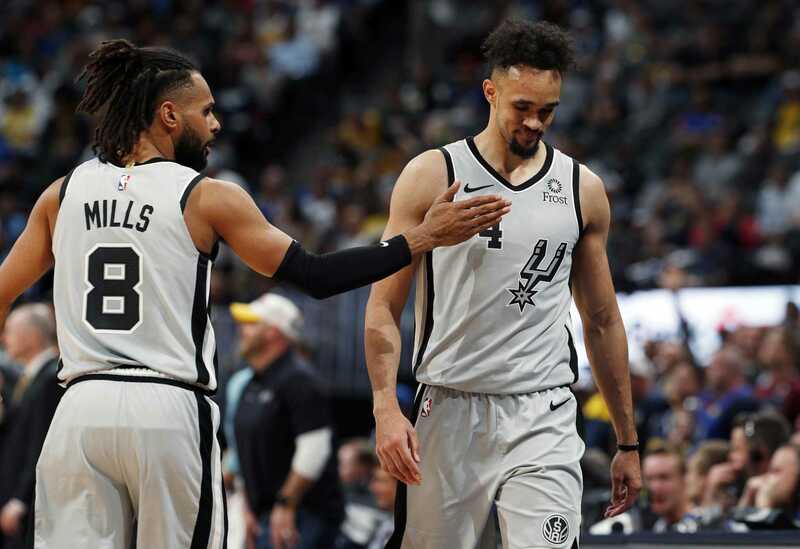 Mills’ assurance that the team bus wouldn’t dare pull away without Leonard came after he altered the course of that night’s game with three third-quarter steals that produced seven unanswered Spurs points in 72 seconds. It wasn’t just Leonard’s defensive plays that changed the game, though he scored five of the seven points himself and assisted on the other basket. What mattered more was that his stripping of the ball from Kings guard Ben McLemore on back-to-back plays demoralized the Kings, unalterably turned the momentum and surprised even Spurs coach Gregg Popovich, a man seldom awed by anything he sees on a basketball court. "He took away two in a row and said, 'Gimme that,' Popovich said afterwards. "He just grabbed it away from whoever it was. He just grabbed it and took it twice in a row. I don’t see many people doing that. The things he does just amaze me." That the two-time Defensive Player of the Year makes game-changing steals is considerably less astounding than the fact he has become one of the league’s best players in one-on-one isolations at the offensive end. Casual fans are inclined to attribute his recent scoring explosion to the effects of Popovich’s motion offense and the coach’s emphasis on "good to great" passing. In fact, Leonard also ranked ninth last season in points scored on isolation plays, with 275. The list of those with more "iso" points is a Who’s Who of scoring prowess: James Harden, Carmelo Anthony, LeBron James, DeMar DeRozan, Kevin Durant, Russell Westbrook, Kobe Bryant and Paul George. No. 10 on the list, right behind Leonard: Steph Curry. And Leonard also has become one of the league’s most efficient players in one-on-one isolations. During 2015-16, he was tied with Durant for second in points per isolation, at 0.99. Only Curry was more efficient, producing 1.10 points per isolation. So far this season, Leonard is shooting 6-of-11 (54.5 percent) on isolations and has 16 points on 17 possessions (0.94 PPI). His six made isolation field goals are tied for fifth in the NBA. At 6'7", with long arms and hands so large he's known as "The Claw," Leonard is built for isolation plays. 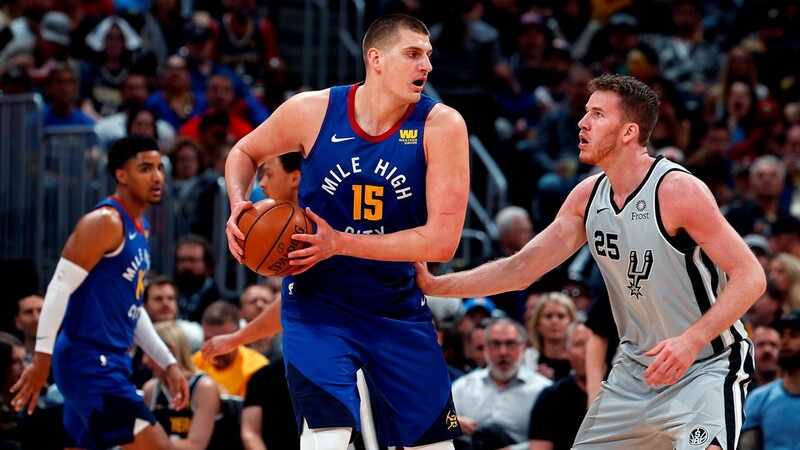 His strength allows him to take contact without losing the ball, and now he has learned to draw fouls with consistency, a key for any go-to player, especially in crunch time. Last season he averaged only 4.6 free throws per game. Through the first five games, he has averaged 9.0 fouls shots and has missed only two of his 45 free throws. It shouldn't surprise anyone that Leonard, a dedicated student of the game, spent countless hours over the summer studying film of his own games, plus those of perimeter players who get to the foul line with regularity—especially Harden and Kobe Bryant. Manu Ginobili, whose ability to draw fouls and make free throws made him Popovich’s crunch-time favorite through many of his 14 previous Spurs seasons, has seen the results. "He has become so good drawing contact and with his hands and strength, drawing fouls and showing you the ball and baiting you to foul him," Ginobili said after Leonard went 15-of-15 at the line when the Spurs stunned the Warriors, 129-100, in the season opener at Oracle Arena. "He has become unbelievable. That’s a good weapon to have because sometimes you are dry, you can’t score, and he didn’t score the ball shooting well, but he went to the line 10 times in the first half and made them all. That makes everything easier." Ginobili also sees some Leonard moves he calls "Harden-like," showing the ball and baiting his defender into swiping at it. There have been reports that Leonard learned some of his new skills in workouts with Bryant over the summer. The 25-year-old Spurs star shot down that rumor after his quietest game of the season, a 20-point output in a blowout win over the Pelicans in which he wasn’t needed at all in the fourth quarter. "I didn’t work out with Kobe," he said. "I don’t know where that came from. I wish I could have. He told me during the All-Star (weekend) that he will work with me. He’s retired, so I just wanted to give him some personal space. Maybe next summer." Leonard said he did watch some tape of how Bryant drew fouls, and already has tried multiple pump fakes in the lane, a Bryant favorite. Mostly, Leonard watched tape of Spurs games last season to see how different players defended him, looking for details that might allow him to get more calls. "Just to be able to go through it last year, and watching film and learning how people were guarding me, seeing where their hands are," Leonard said. "I’m just starting to feel it and get a rhythm. As it keeps going, I am getting better at it." New Spurs center Pau Gasol, who played alongside Bryant for six-plus seasons in Los Angeles, sees some similarities between Leonard and the recently retired Lakers superstar, but also appreciates some of their differences. "(Kawhi) is a special player, without a question," Gasol said. "He’s so complete. He plays the game at a very high level on both ends. You see players play at a high level on offense, but this guy does it on both ends. It’s hard to say where he is more exceptional. I’ve been around and played against some incredible players, but this guy is unique. He’s definitely very confident and determined. "He might not talk much; he might keep it quiet most of the time, but his demeanor and his swagger is pretty high even though he doesn’t show it. The way he plays, it’s pretty obvious." Leonard’s isolation game may not yet be obvious to most fans, but pay attention to him, especially in crunch time, as Spurs opponents already do. All quotes obtained firsthand unless otherwise noted. Stats are accurate as of November 1 and provided by Bleacher Report Insights.